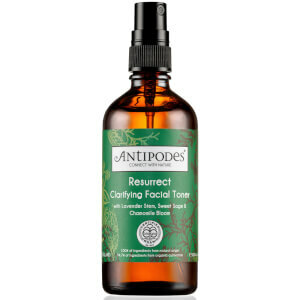 The Antipodes Organic Resurrect Facial Toner is a natural, organic toner designed to refresh, calm and soothe the skin to prepare it for moisturising. 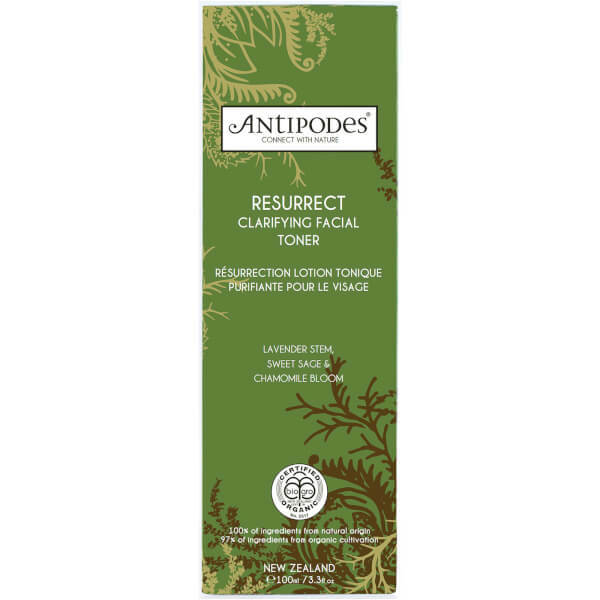 Presented in an easy to use pump bottle, the toner boasts a unique formula containing lavender and chamomile to soothe whilst sweet sage firms the skin. Perfect for everyday use on normal to oily skin, it's a must have. K.D. 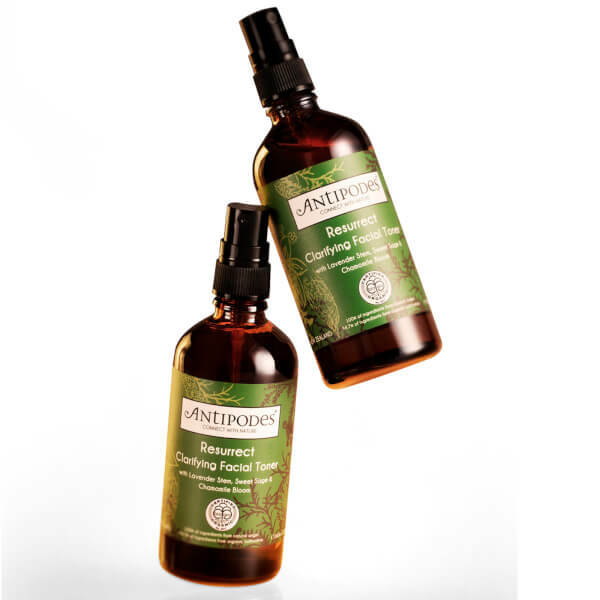 Apply morning and evening by spraying across face, neck and décolletage. Follow with Antipodes moisturiser and for best results Divine Face Oil.